Reliance Jio is something which has made other telecos think a bit about their future. Airtel, one of the largest operators, both in terms of consumer base, ads and unexpected poor service has literally geared up for a war. And looks like the state led BSNL is also getting into it. BSNL has just announced that they won’t cap data for the Rs. 1,099 3G plan anymore and will offer true unlimited 3G data. The plan doesn’t come with any FUP and the subscribers would be able to consume as much as data they want without any reduction in speed. With this change, there are some other great changes in different plans as BSNL has also doubled the data usage in many existing plans too. The unlimited 3G plan will be available across all circles in India, starting from today. BSNL has suddenly geared up to grow their user base and in April 2016, the state led carrier added 11.39 lakh subscribers while Airtel added 9.78 lakh subscribers. Aircel (5.72 lakh), RCom (1.1 lakh), Vodafone (46,600), MTNL (11,591) are below BSNL and Airtel in temrs of growth. Packs costing Rs. 549 and Rs. 146 got 100% increase in terms of data allowance. Now the 549 plan users will get 10GB of 3G data instead of 5GB and 146 Plan users will get 2GB instead of 1GB. 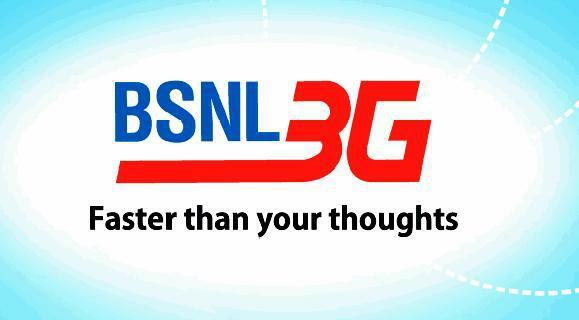 BNSL had earlier come up with truly unlimited 3G plan for Rs. 700 , but later it was withdrawn. As BSNL doesn’t have 4G network, probably it’s a good idea to gain more and more subscribers until they offer 4G connectivity, which is rumored to start next year. However, even after Jio, BSNl still remains one of the top competitors for offering service at a very low cost. Now, we will see how BSNL plans to compete with Jio when they launch 4g service across India.